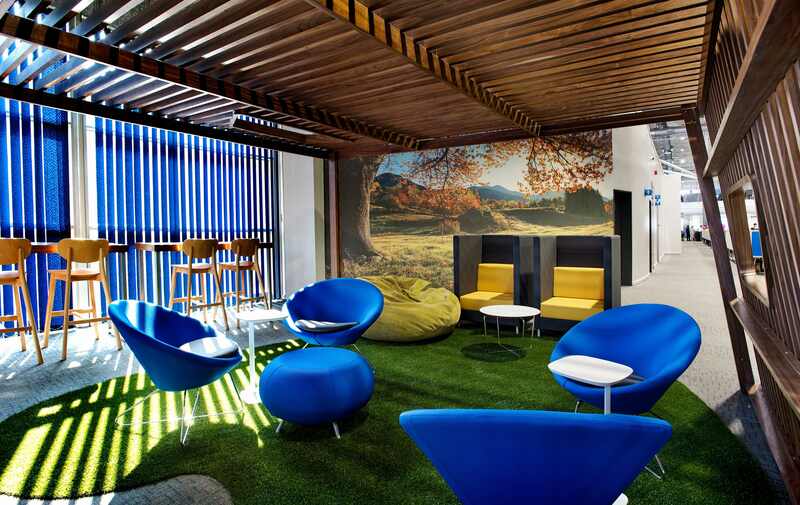 The 22,000m² existing call centre, situated on the corner of Kingsway and Lothbury Avenue in Auckland Park, Johannesburg, was to be kept live while the complete building was revamped with a new infrastructure. An additional 1,200 people were accommodated, with the addition of a new gym, training facilities and canteen. 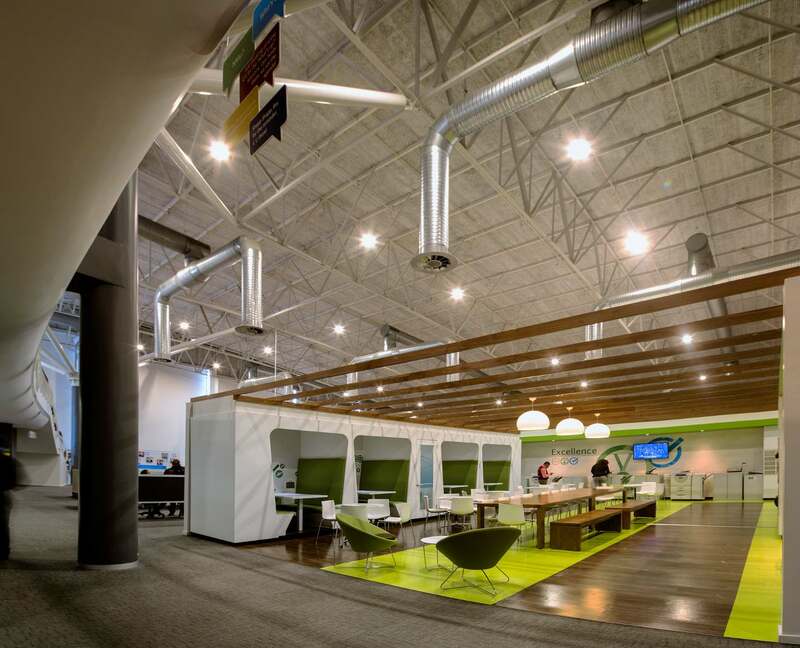 The internal space was redesigned to break the vast open call centre feeling by providing exiting new meeting, eating and collaborative spaces. The aim of the redesign was to reduce the staff turnover and increase productivity within the call centre environment.